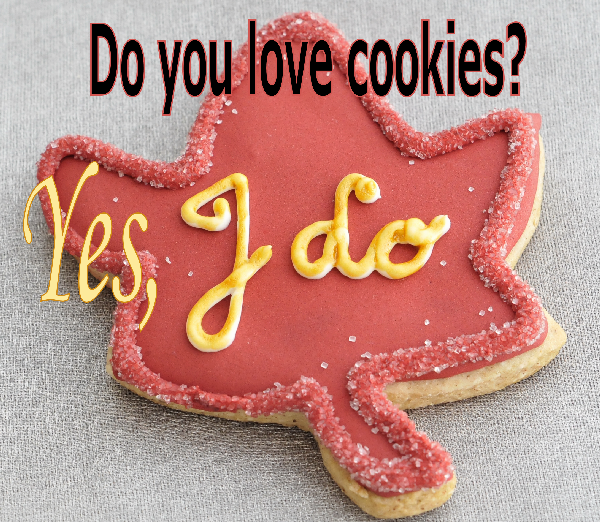 Hand Decorated Cookies make great gifts and favors, they can say many things in many different ways. To decorate cookies there are variety of icing recipes that can be used depending on your desired finish, level of detailing and technique to be used. Royal icing, made from egg whites and sugar is the most common icing, used by home bakers and professionals as well. It can be used for variety of tasks and that makes it a great medium to work with. It found its way into my kitchen and I have been using it ever since. Mix using a whisk 5 TBL of meringue powder with warm water, until slightly foamy, add cream of tarter, mix again and then add all the powdered sugar at once. Using your stand mixer, on the lowest setting, using paddle attachment, mix for 10 minutes, after 10 minutes you can add your flavorings, color the icing. I recommend letting the tinted icing sit for at least several hours, this helps to develop the color better, also when making icing for flooding, sometimes with all the mixing we let air bubbles in the icing. 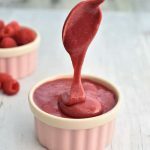 To help eliminate air bubbles, let the icing sit for at least 30 minutes and then gently stir with a spoon to get rid of the bubbles.This icing behaves really well even after several weeks, just keep it in the airtight container and remix the icing when you are ready to use it again. 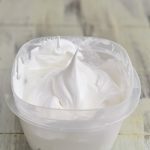 Facts about Meringue powder : this powder is made by drying the egg whites and mixing them with cornstarch and gum, it is designed to replace beaten egg white in the recipes.When mixed with water it can be whipped into soft or stiff peaks. 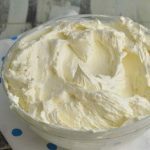 Facts about Cream of Tartar : is a acidic salt, a byproduct of wine making cream of tartar helps with stabilizing egg whites, it also gives them more volume and helps to produce creamier texture in desserts. 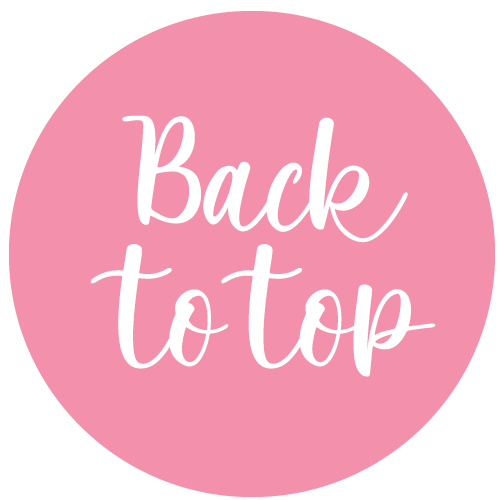 Back in the day…when I was helping out my grandmother in the kitchen she would add pinch of salt into her egg whites when beating them, and this had the similar effect on the egg whites as cream of tartar, especially when it comes to volume. Sometimes when royal icing dries on a cookie it can absorb fat from the cookie and create dark blotchy spots.I guess it is something that possibly also has to do with the amount of humidity in the air. There are few things that you can do to help prevent this. -First let the tinted icing sit overnight, this way when using dark colors, it helps to develop color and you don’t need to use as much coloring agent. This is another icing that I have tried few times.It is beautiful and tastes really delicious as well.This icing results in shinier finish than royal icing, it never really dries as hard as royal icing, yet when left to dry for sufficient time /at least 8 hours/ cookies decorated with this icing can be packaged in bags, when stacking I recommend using a wax paper between each layer. This icing is a bit more elastic than royal icing, and it is more difficult to do super fine details using this icing. Let the icing dry completely before packaging or stacking the cookies When making cookies with this icing I had an issue with white spots appearing on some of the cookies, this can be prevented by adding a few drops of liquid whitener into the icing when mixing it. 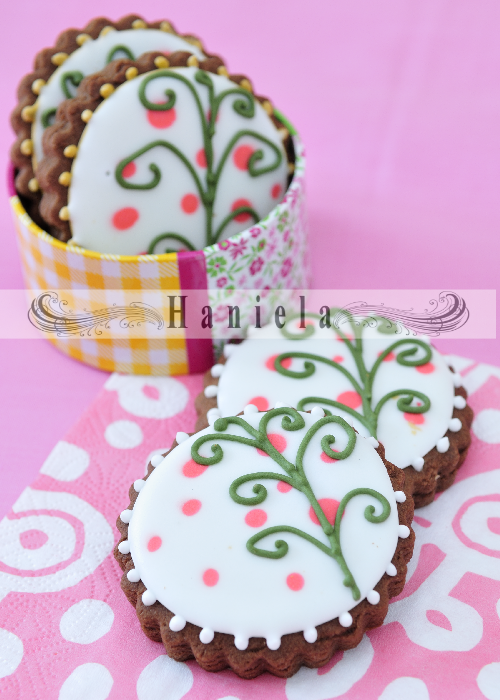 I’ve only decorated about handful of cookies with fondant, I prefer a different medium. 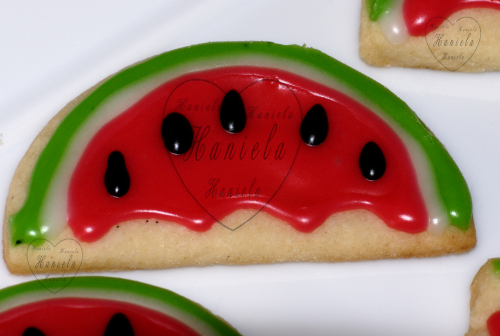 Nevertheless fondant decorated cookies can be absolutely fabulous. I have been using Marshmallow Fondant, some of you are probably familiar with this recipe. Original Recipe can be found here, there are also step by step photos that will help with the process if you are not familiar with it. Coat one big wooden spoon with crisco, lower part of the handle too. Coat the heat proof bowl with crisco/this will help you later, you’ll see/. Place marshmallows in the bowl and using microwave, in 30 seconds intervals melt the marshmallows, take caution mixture will be hot, this should take about 2 1/2 minutes. Once marshmallows are melted, stir in 1 Tbl corn syrup. Place all the powdered sugar in the large bowl, make a well in the center and pour the marshmallow mixture on the top of the sugar, it should be rather easy to do/ here the crisco coating your bowl will pay off/. Now take the wooden spoon you coated with some crisco and roughly combine the powdered sugar with marshmallows, then using your hands /lightly coated with crisco too/ knead the fondant like you would bread dough, until nice and smooth, about 8-10 minutes. I recommend “aging” your fondant in the fridge overnight, or at least for a few hours. Coat the fondant with crisco and wrap it in the plastic wrap and seal in the ziploc bag. Place in the fridge. Keep in mind that fondant will absorb any strong odors, so try to keep it away from foods that could possible “smell contaminate” your fondant. Fondant in a way behaves like pasta /just don’t try to cook it ;-)/. 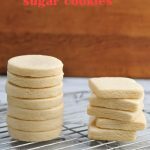 Pasta machine works great for cookie decorating too, it will help to keep even thickness of fondant, and depending on the setting on your pasta maker you’ll able to make the fondant layer pretty thin for the best result. ribbons and such I recommend using royal icing as “adhesive”. 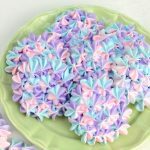 Hi, could you tell me how can I replace Meringue Powder for the icing? I can't found here in my place. Thanks for your wonderful recipes.